Kelsey & Jeff: best friends, travel buddies, and parents of a fluffy little Portuguese Water Dog named Goose. On a beautiful April day, Kelsey & Jeff visited Castle Hill at Crane Estate, a historic 165 acre property overlooking the ocean and surrounding marshes and rivers of Ipswich. The Great House, a 59-room Stuart-style mansion built in 1928, is furnished with period antiques. The property also boasts Italian gardens and a roaring lawn - which is where Jeffrey got down on one knee and popped the question! 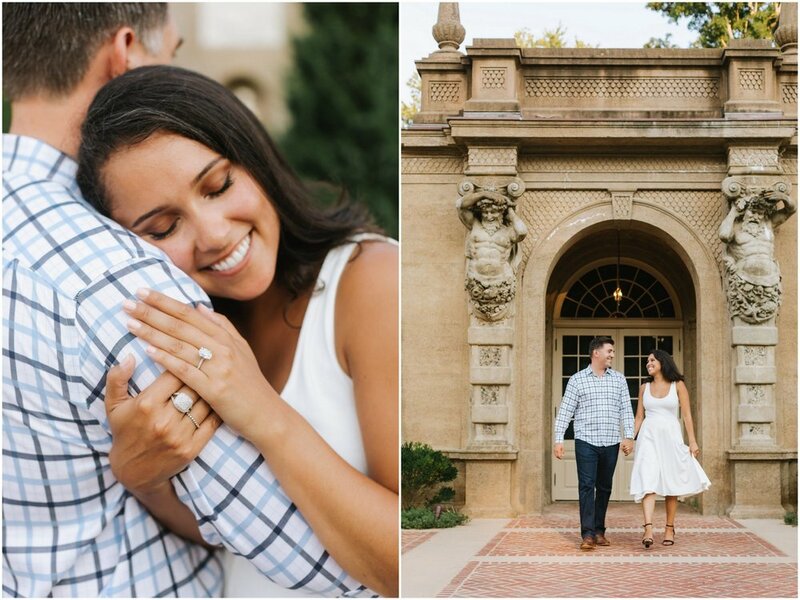 They're planning a destination wedding in the stunning vineyards of Sonoma, California, so it was only fitting that they celebrate their engagement and commemorate their New England life together with a visit to this sentimental spot! Want to see more Boston engagements?